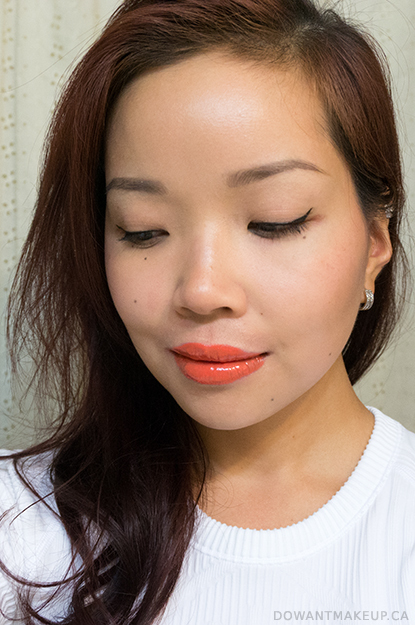 The weather is finally heating up in Vancouver, so now feels around the right time to post about bright, summery lipstick! 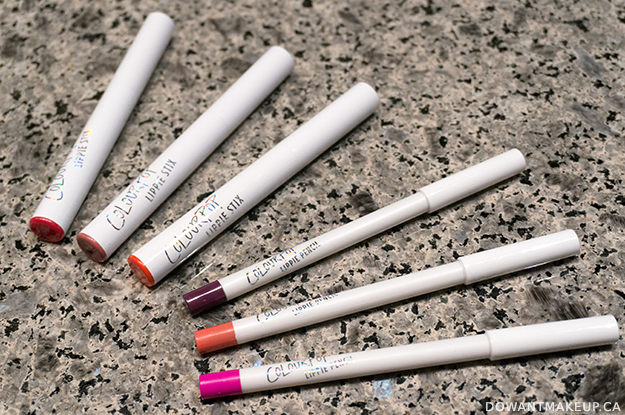 I placed a Colourpop order a long, long time ago to check out what all the buzz was about, and limited myself to buying just 3 Lippie Stix and 3 Lippie Pencils, one of which was Luau Lippie Stix. 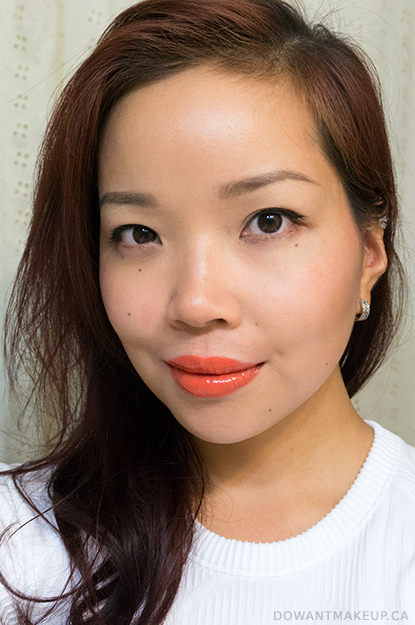 This true orange shade in Colourpop's hyper glossy finish was intended to be the replacement for Androgyne, the true orange OCC Lip Tar Stained Gloss that I kinda loved but ultimately returned because of the low coverage and patchiness. Surprisingly, I peeked out of my comfort zone to pick up some non-berry/purply shades: Lumiere, a matte mauve, and Toucan, a matte, bright red coral. I do love my mattes and semi-mattes but this super glossy finish on Luau is so pretty! If possible, it's even brighter and shinier in person. Overall I'm happy I went with something other than my usual berry shades! The coverage was good enough to even out my discoloured lips, and it wore well over 7-8 hours with drinking and snacking. 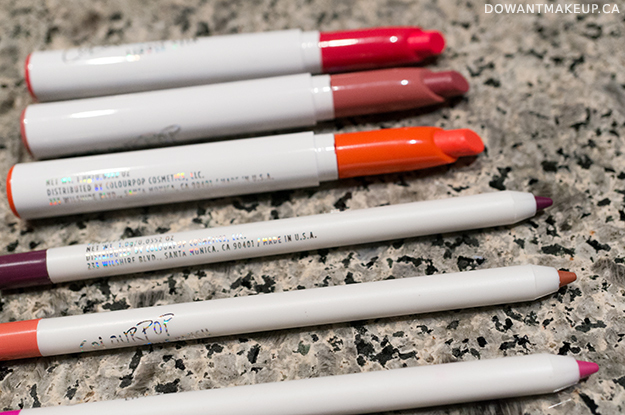 Considering that Lippie Stix are priced at a super-affordable price $5 per Lippie Stix, the value is so good - it's so tempting to buy more! Hopefully I'll get around to swatching the other shades I purchased, because they are just as lovely as Luau. 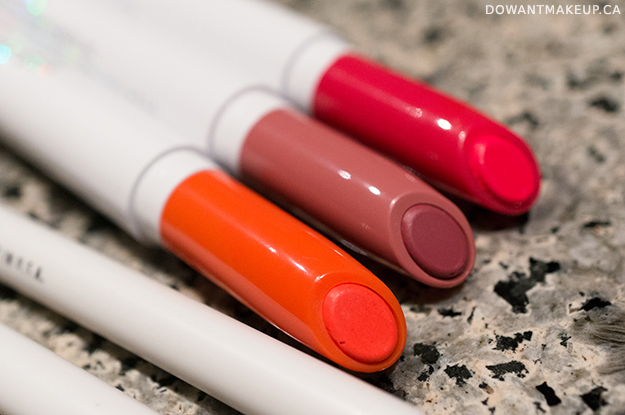 Have you tried any lip products from Colourpop yet?